You are here: Home / Trinfinity & Beyond by Dr. Kathy J. Forti / Blog / Can Pathological Liars Change? Pathological liars are made, not born, say the experts. It is a learnt behavior, reinforced and hard-wired into the brain after repeatedly experiencing some benefit. It may start out as little white lies without consequence, then escalating over time to possibly destructive and/or criminal behavior. 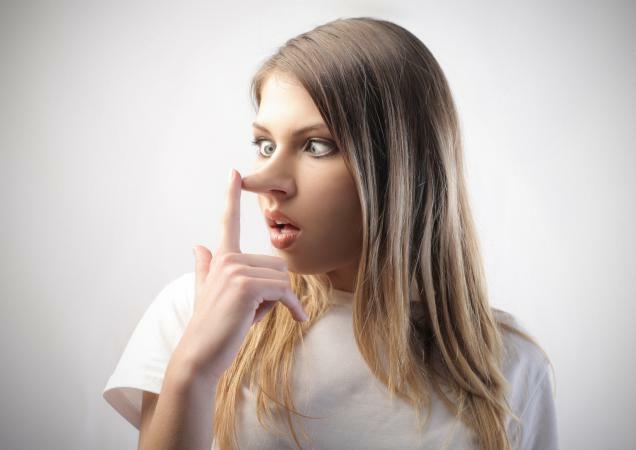 At some time or another we’ve all come across a pathological liar. Once you catch them in a lie or two, it makes you start questioning everything they say. Frankly, I’m surprised Big Pharma hasn’t come up with a vaccine to remedy this affliction, since it appears to be at epidemic proportion during this year’s U.S. Presidential Election. Some pathological liars lie for no good reason whatsoever. They often don’t realize that they’re even doing it. In a recent study in Nature Neuroscience, scientists found that telling small, insignificant lies desensitized the brain to dishonesty. Lying begins feeling more comfortable over time, and the level of dishonesty than magnifies and escalates. Tali Sharot, a neuroscientist at the University College London and senior author of the study, suspected, along with his colleagues, that pathological lying was due to changes in the brain’s response to lying, rather than simply being a case of one lie necessitating another to maintain a story. The relay switch appears to be in the amygdala, which is the integrative center in the brain for emotions, emotional behavior, survival instincts, and motivation. In the study, 80 volunteers played a game in which they estimated the value of pennies in a jar and sent their guess to an unseen partner. Sometimes participants were told they would secretly benefit at their partner’s expense if they overestimated the cash in the jar, motivating them to lie. Neil Garrett, also of UCL and a co-author, said: “We knew by how many British pounds they lied on each trial. The amount by which participants lied got larger and larger.” At first, volunteers tended to alter the jar’s value by around £1, but this typically ramped up to about £8 by the end of the session. Twenty-five of the volunteers played the game while having their brain activity monitored by an MRI scanner. This showed that the amygdala was most active when people told their first lie. But while the untruths escalated in magnitude, the amygdala’s response gradually declined and larger drops in brain activity predicted bigger lies in the future. The scientists speculate that the amygdala activity could represent the internal conflict between wanting to see oneself as honest and being tempted to act in self-interest by lying. This would fit with the scientists’ observation that people appeared to lie more readily in tasks where it benefited both themselves and their partner, possibly because it was easier to justify a lie that served the common good. In an earlier 2005 study by the University of Southern California, a team of researchers found evidence of abnormal structural differences in the brains of pathological liars. They administered a series of personality tests to a random sample of 49 people. Twelve people were classified as habitual liars, 16 could be described as having antisocial personalities without being regular liars, and 21 tested as normal. They then performed MRIs on all the subjects which showed 25 percent more white matter in the pre-frontal lobes of pathological liars when compared to the anti-social group. When compared to the normal control group, they had about 22 percent more white matter. They concluded that pathological liars have a surplus of white matter and a deficit of gray matter. That means they have more tools to master the art of deceit. Normal people have more gray matter which helps keep the impulse to lie in check. Taking both studies into account, one can see the correlation. Major connections to the “amygdala” also come from the medial “prefrontal cortex”. So the question remains—can pathological liars change? An addict will always be an addict, but they can practice thought-stopping behavioral patterns to decrease the pathology. The key factor is they have to really want change and work diligently at stopping their destructive behavior. The only real solution is conditioning children not to begin lying from Day 1. When a child takes an extra cookie before dinner and tries to hide it when caught, it’s up to the parent to discipline the child. If they don’t, the child’s brain quickly learns that lying works and the wiring is set in place. An unchecked lying child becomes the pathological adult liar. On a recent Google search for “pathological liar” it was surprising to see Hillary Clinton’s picture pop up next to an explanation of the term, even though her name was never directly mentioned. When news outlets reported this with a screen capture of the Google search page snippet, Google promptly corrected the issue. It is especially disheartening to see our corporate and political leaders engage in displays of lying to protect past deeds—and get away with it. Lying should never be tolerated, which is why 2016 is fast becoming the Year of Learning Discernment as we all try to sift the wheat from the chaff and resonate with our own Inner Truth. https://i1.wp.com/www.trinfinity8.com/wp-content/uploads/2016/11/liar2.jpg?fit=500%2C500&ssl=1 500 500 Kathy J. Forti https://www.trinfinity8.com/wp-content/uploads/2014/05/FINAL_trinfinityLOGOrevised-for-web-logo-300x174.png Kathy J. Forti2016-11-01 23:43:412016-11-02 15:41:31Can Pathological Liars Change? I believe pathological lying can be cured but it requires work and lots of time interacting with the children. It depends on the motivation for lying too. Exaggerating is a form of lying when telling stories to sound more interesting. In this case, we have to help them to become aware of these lies. If lying when making a mistake (threat of punishment), we have to be compassionate when they make mistakes and encourage them to be honest. Lying because their self-respect is shattered because they don’t want to face reality about their skill… complex to cure. The longer their habit of lying, and therefore the harder and longer it will take to break their bad habits of lying. Telling the truth, in every situation and on all occasions, is a bit of a conundrum I feel, and might call for a degree of discrimination depending upon the circumstances, and evaluating intuitively whether a particular person needs, or has a right, to know the full details relating to their inquisitiveness – as to one’s health, financial position, trade competition, employment etc. And in some cultures the ‘saving of face’ attitude seems a prevailing fairly regular form of excuse for mistakes one may have made. Yesterday I mentioned to someone how well they looked. Yet I’d be surprised if they’ll still be around by the end of the month. And one tries to go around telling folks how well they look. I have been in counseling for about a year due to what is believed to be my husband’s pathological lying. I unknowingly walked into situations were his lying actually caused me to have anxiety attacks because I never know what he has told someone or a situation I know nothing about. I am in my late 60’s and I am at wit’s end as now I don’t know how much more I can take. I love him so much but geez they can’t seem to give it up and I am very tired. I’m sorry to hear about your situation. I am just first seeing this post as my search on pathological lying and sociopaths is just beginning due to 3+ years of never ending lies told by my boyfriend. I’m wondering if councling has helped you to deal with your husbands lying? I am now on anti anxiety medication and also at my wits end. I divorced my ex husband of 15 years due to increasing disrespect and emotional abuse. I did not walk away from a life I spent 15 years trying to build with someone to end up with someone equally as bad. My boyfriend is very manipulative and I now have financial ties to him regarding his vehicle as well as some fairly large loans. 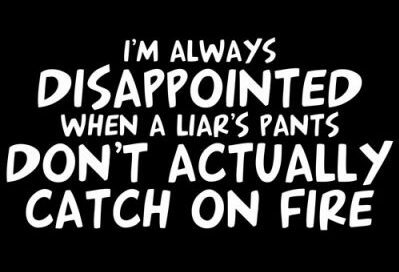 I’m hoping to gain some in-site as to what has worked for people living with pathological liars or if I should just cut my losses and move on. Any advice or feedback would be greatly appreciated!